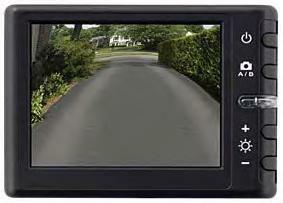 You can add the convenience and safety of a backup camera to your Jeep Grand Cherokee with this all-inclusive kit. The wide-angle lens on the video camera provides a clear view of what's behind you and sends images to a 3.5-inch LCD monitor that mounts above the dashboard. Adjustable on-screen markers help you judge distances and the system's plug-and-play design makes installation a snap. The kit includes the wide-angle camera, the LCD monitor, wiring harness, installation hardware and instructions. It's everything you need to add a higher level of safety to your Grand Cherokee and make maneuvers easier than ever.